To pay online with your credit card click here. The Open University (OU) is the best bargain when it comes to lifelong learning in Richmond. There are three, 8-week sessions each year, in the fall, winter and spring. When you become a member (only $25 for the entire year), you pay just $45 per 8-week session and you can attend any and all of the classes that we offer at either location for that one price. We do not register for individual courses, but for the entire 8 weeks. You can even sign up the first day of the session at either location. You’ll find offerings in history, literature, political science, arts, foreign languages and so much more. Our instructors are both retired and active professors from area universities, along with business professionals, world travelers and local celebrities. Best of all, there are no tests to take or papers to write! Just great things to learn. Lunch & Life (LAL) on Wednesdays: St. Mary Catholic Church 9505 Gayton Rd, Richmond – 23229 map Four-week, Lunch-n-Life lecture series. Free to the Public – No membership or tuition required. Sign up the day of classes at either OU location. If Richmond Public Schools are CLOSED for weather, then Open University classes are CANCELLED. If Richmond Public Schools are DELAYED, then Open University is OPEN and classes start at the usual 9:45 am time. Closing notices are posted on Channels 6 and 8 and on the TSCOR website. scrolled on channels 6 and 8 along with other school and business closings. We urge you to subscribe to the TSCOR website to get notices. To subscribe to TSCOR.org, look on the right of this page (or any page on the website). 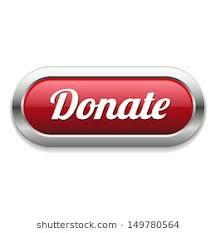 Just under the Shepherd’s Center logo and the Donate Button is a box where you can type your email address. When you’ve put in your email address, just click on the button that reads “sign me up”. Your email address is safe and secure with us. The Center will NEVER give your email address to any third-party. And, we will not swamp you with needless messages…only the interesting and important ones.